This entry is part 4 of 23 in the series Portugal & Andalusia 2012. Today we take a photo walk through beautiful Lisbon, Portugal, while we admire the colourful azulejos, or tiles, the adorn the city’s buildings. While I love the architecture of Belgium, particularly our stunning Art Nouveau, I have to admit, the monotonous shades of grey can get depressing. That’s why I am always inspired when I visit a city that has embraced colour. 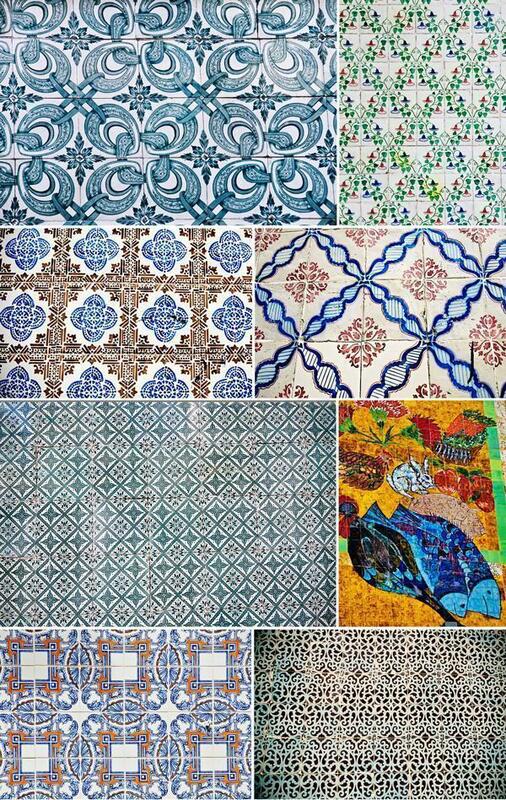 Admiring the rainbow of handmade tiles was one of the highlights of our visit to Lisbon, during our travels in Portugal and Andalusia. 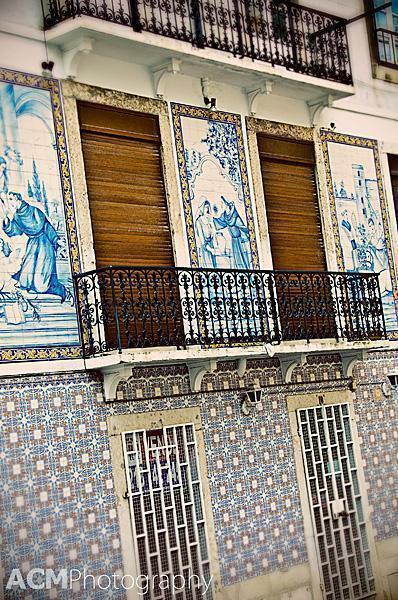 The tiles, called azulejos in Portuguese, are found throughout the city, and indeed the country as a whole. 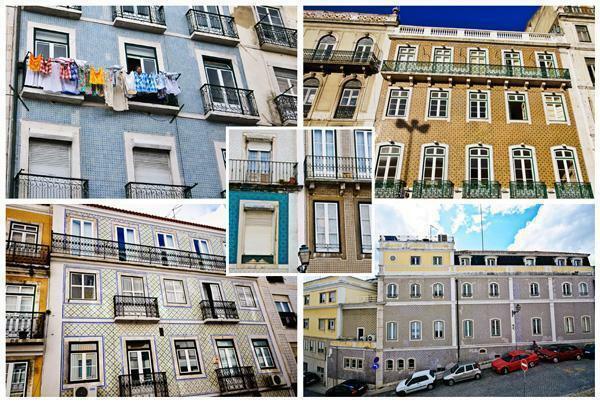 In some Lisbon neighbourhoods, they cover nearly every home. 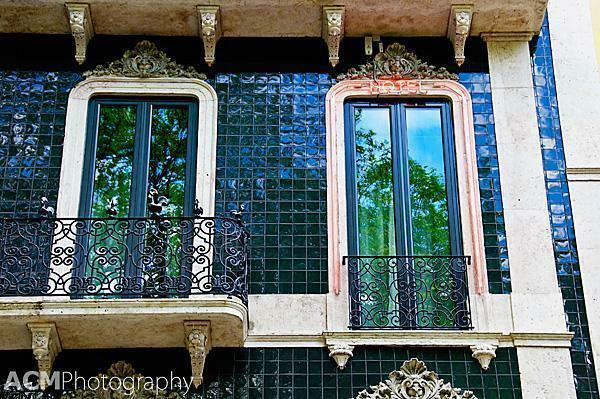 Houses throughout Lisbon are covered in azulejos, or tiles. The tiles were introduced to Portugal during Moorish times. You can still see this influence in some of the designs with strong geometric patterns and contrasting colours. Over time, tastes changed and natural elements, such as flowers, began appearing on the tiles. During the 16th century, more of the tiles were produced in Portugal itself, as well as Flanders, and the tiles began to portray large murals of historic and religious scenes, in addition to geometric patterns. The rage for all things Chinese, in the 17th century, led to a preference for blue and while tiles. Blue tiles still seem to be the most predominant around the city, although, after the 1755 earthquake, colourful, mass-produced tiles started appearing once more. This beautifully tiled building is a hospital in the city centre. Wouldn’t you like to recover here? Because it is often impossible to replace old, broken or missing tiles, different patterns or colours often appear on the same building, adding an additional dimension to creativity of the tile work. 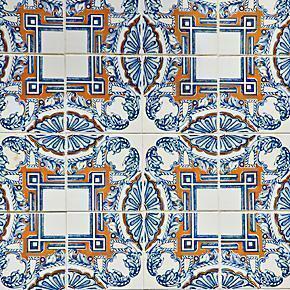 Tiles are so important to the culture of Portugal, Lisbon even boasts an Azulejos Museum. 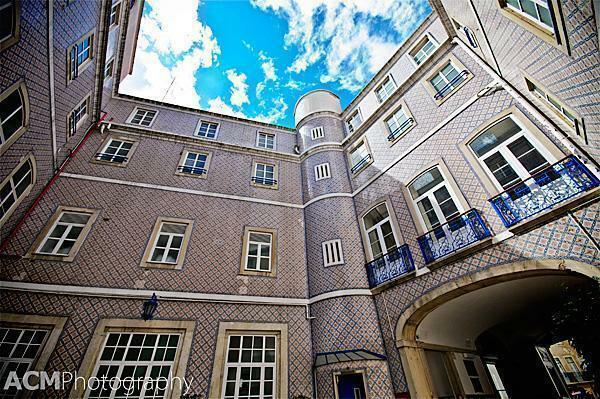 It has the largest collection of Portuguese tiles in the world, some of which are priceless. Sadly, we didn’t have time to visit the museum this time around, but it is definitely on our ‘must visit’ list. In addition to the colourful azulejos decorating the buildings of Lisbon, there is also an abundance of decorative stonework. 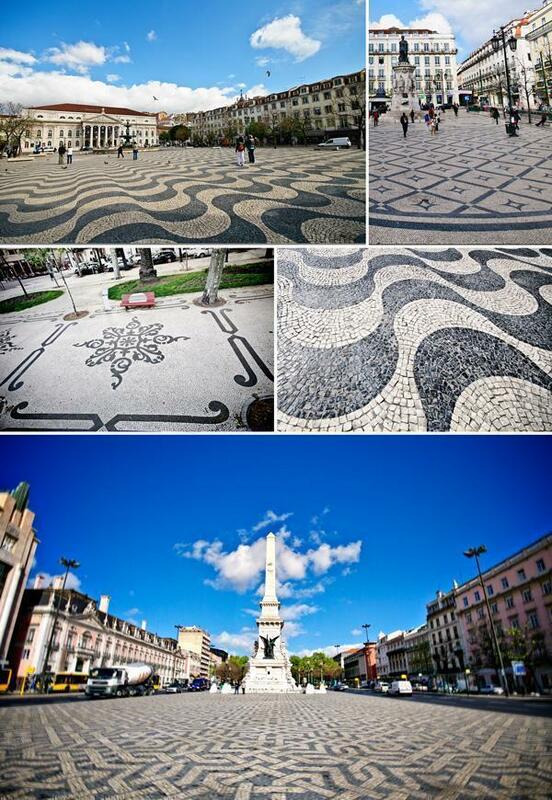 Many of the sidewalks and squares throughout the city have patterned cobblestones in various shades of grey. A few of the more wavy patterns made us a bit dizzy while we walked on them. I have to admit, this side-walk is much prettier than my side-walk in Brussels! Lisbon is a spectacular city for anyone who loves colour, architectural photography and a lively atmosphere. 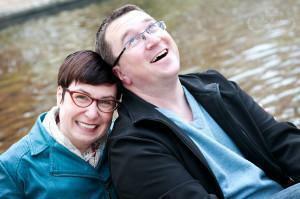 We’re looking forward to returning for more adventures in the Portuguese capital. 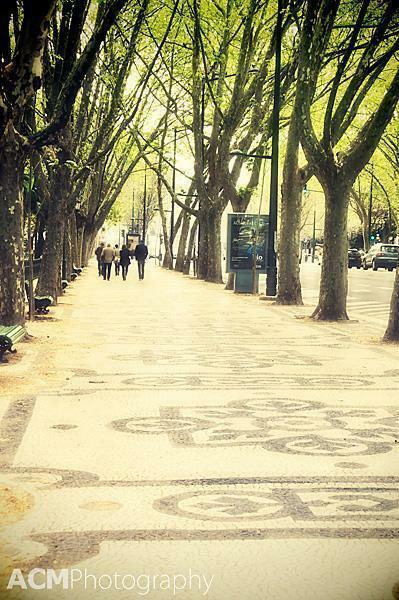 Have you visited Lisbon, Portugal? What did you think of the azulejos? Leave your thoughts in the comments below.